Overall I was pleased with my gear choices for this trip. In particular I was glad that I use my Lightwave Ultrahike as it carried the extra weight well and definitely the right choice. I managed to do without the Inov-8 belt pack for the majority of the time and should’ve left it behind. The Tread Lite shoulder strap camera pouch was excellent and compensated for no hip pockets. 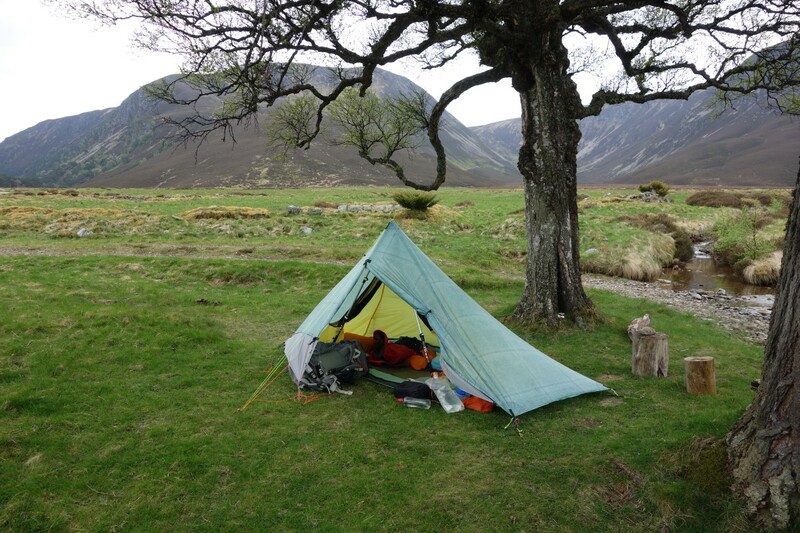 The Tramplite shelter was fine, coping with the strong winds on Saturday night/Sunday morning really well. For choice, it’s a little cramped inside and if weight had not been a major consideration, I would’ve taken my Scarp. However, the Tramplite is half the weight. My sleeping system of As Tucas down quilt and Thermarest X Lite short was perfect. The new Sea to Summit Aeros UL pillow was comfortable, especially if slightly under inflated. In terms of clothing, I loved the Rab Interval T. The thin material evaporates sweat quickly and didn’t smell even wearing it for four days in a row. Even though it wasn’t that cold, I was glad of the As Tucas Sestrals insulated trousers in the evening. The Berghaus Furnace jacket was about right, but if it had been colder, I would’ve preferred my PHD Minimus jacket. I slept in my Helley Hansen Lifa long sleeve polo shirt. It wasn’t as warm as I thought it would be and I think I’d take a warmer layer for this kind of trip in future. 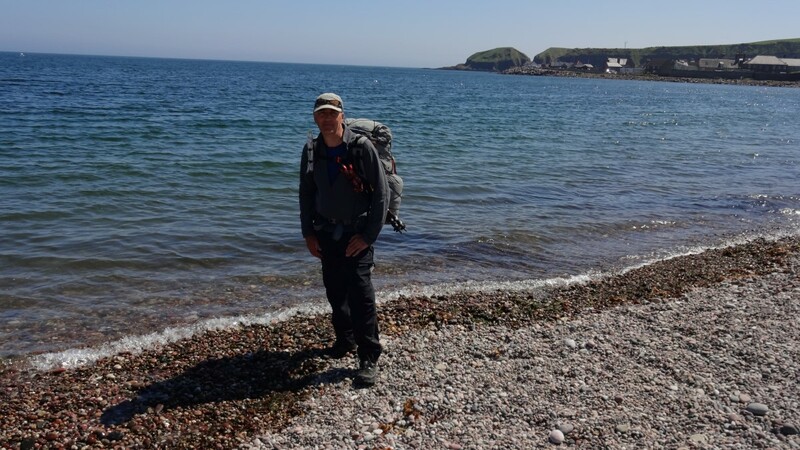 The Paramo 3rd Element jacket worked well and I appreciated the flexibility of being able to use it as a gilet. I really liked my new Outdoor Research Swift cap. The partial mesh kept me cool and largely sweat free, while the solid crown gave me adequate sun protection. The one thing I wish I’d taken was my Montane Featherlite windproof smock. At 88g, it weighs virtually nothing and I should’ve taken it. I didn’t need my waders, but they are good insurance. I left my umbrella behind, but I didn’t have any occasion where I could’ve used it. I was pleased with my Olight Nova H1 headtorch and I will do a separate review. I had a new Tread Lite USB lantern, which was excellent. I used an Anker Power Core 10000 battery charging pack for my iPhone, which not only carried enough power to charge my iPhone most days with plenty to spare, it was also quick to charge and very light for its capacity at 177g. I should also mention my Bioskin neoprene knee support which was a real life saver when I tweaked a knee ligament on the first day. If I go on next year’s Challenge, I would probably swap out the Ultrahike for the Tramplite Pack as I wouldn’t be carrying so much food. I’d take a warmer sleeping base layer top, a windproof smock or jacket and probably a warmer down jacket. Beyond that, my gear wouldn’t be much different.